After centuries of (self) isolation from the rest world, the 20th century unfolded with introductions into Ethiopia of Western knowledge, ideas, and practices, catching Ethiopians with growing mixed feelings of hopes, uncertainties and disdain. At the heart of this development laid the survival of the political independence of the country amidst major European colonial powers and Ethiopians strong need of maintaining that political independence. Since informed Ethiopian rulers and their (Western) educated progressive advisors of the time believed that the longstanding survival of the political independence of the country would ultimately be granted by the introduction of the country into the Western knowledge, ideas and practices; among others, the notions of leprosy as a contagious disease, “lepers” as a public health danger and the isolation of leprosy-affected persons became the earliest Western ideas and practices to take a foothold in Ethiopian society. First as a joint venture of missionaries’ evangelical and the progressive Ethiopians’ hygienic modernist interests, and later, in the post-1941 era, as the missionary groups’, the state’s and humanitarian organizations’ trilateral-mission of evangelization, hygienic modernism and humanitarian leprosy prophylactic interventions, the period from 1901 to 1965 saw the emergence and consolidation of seven major enclave leprous settlement communities in Ethiopia. Founded in 1901, the St. Anthony Leprosarium of Harär became the birth place of such socio-medical construction of leprosy around the contagious conception of the disease. As such, it served as an exemplary harbinger to the emergent modern state and its hygienic modernist program of lepers’ isolation. If examining leprosy in 20th century Ethiopia allows to see how a disease can participate of the construction of an Empire, the specific example of St-Antony (a French missionary settlement) shows also how the balance of power between religion and science is moving from France to Harär. 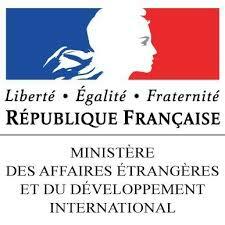 The secularization of the health sector in France is one of the reasons of the missionary impulse of the 19th century because they are replaced by lay staff who seems to be more legitimate to take care of patients. In Ethiopia, French politics or doctors will either highlight St-Antony for its hygienic and social issues or criticize for its religious character. 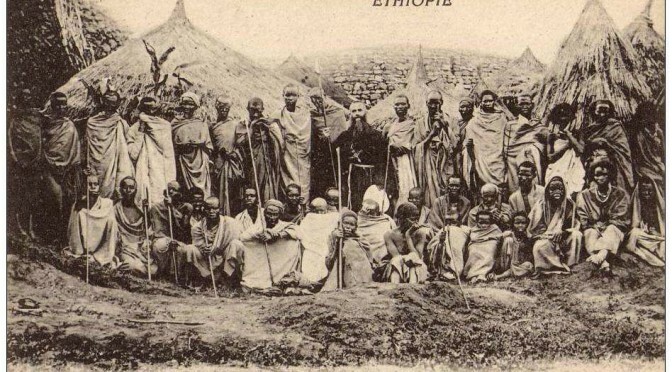 If in France, the catholic staff is evicted from its support nearby the patients, in Ethiopia the close relationships between the French missionaries and the Emperor Hailé Sélassié permit them to conserve their mission with leprosy patients especially thanks to the presence of Dr. Feron from 1930. Today, the “St-Anthony leprosarium” still exists in Harär as a welcoming place for cured lepers and their family. We have collected their memories and those of their neighbors in order to connect life experiences with History. Mesele Terecha Kebede (PhD) holds a PhD from Oslo University (Norway), Department of Community Medicine, with expertise in Historical Anthropology and Medical Anthropology. He defended his thesis last May at Addis Ababa University. He is the author of Leprosy, Leprosaria, and Society in Ethiopia – A Historical Study of Selected Sites, 1901-2001, AHRI / ALERT, 2005. Vanessa Pedrotti is PhD candidate in history at Université d’Aix-Marseille (Institut des mondes africains – IMAF, UMR 8171). Her advisor is Henri Médard. She is conducting research on the history of leprosy in Ethiopia, from the missionary actions to the handling of this issue by the Ethiopian State. See her research note on that blog Iconography of the beginnings of Harar leprosarium.